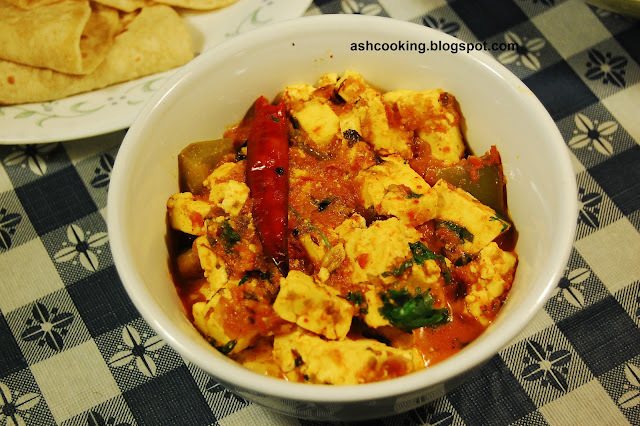 Kadai Paneer reminds me of the occasion when I first paid a visit to my now sister in law's (my brother in law's wife) home to meet her. In India, bridegroom's family members are treated nothing short of VIPs at the potential bride's home. So we too received a warm welcome by the would-be bride's family who took utmost care not to leave out anything in their hospitality. A huge platter heaped with delicacies like a selection of gourmet sweets, luchi, Kosha mangsho and Kadai Paneer were served to us. Since besides my mother in law, everyone accompanying the groom was young in age, pressure was huge in the air from the bride's side to polish off the platter without a crumb left. I ate like a horse going beyond my usual eating capacity but couldn't sweep clean of all the things arranged on the plate. 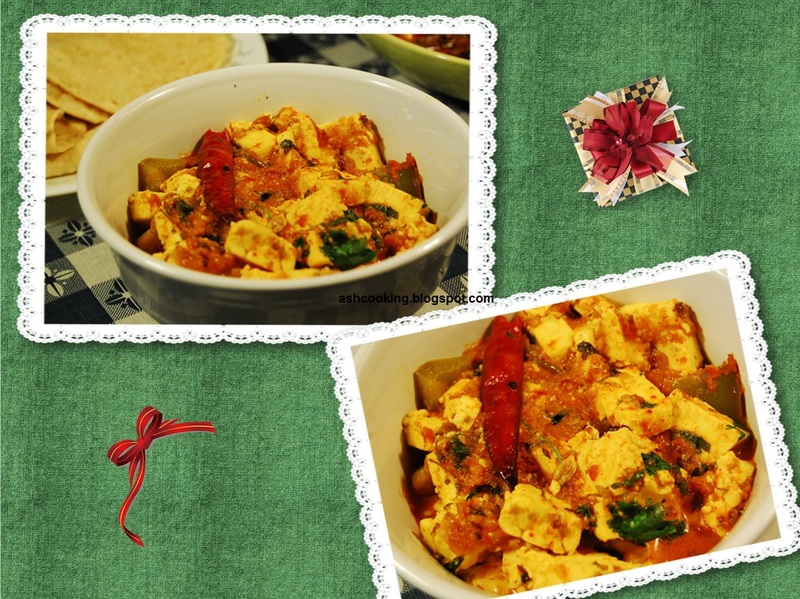 I recall, of all the delicacies, the one that left an impression on my mind was kadai paneer. I never have had any paneer preparation as tasty as that one. It was scrumptious to say the least. The soft cubes of paneer immersed in a tomato based gravy just melts in your mouth. It tastes best with puri, luchi, paratha and chapati but can be a good supplement to rice too. 2) Add onion and fry till it’s light and flimsy. Add capsicum and shallow fry. 3) Add ginger-garlic paste and tomato puree. Add turmeric powder, kashmiri red mirch, coriander powder and green chilli paste. Sauté till oil leaves the sides. 4) Add dried kasuri methi and paneer. Add salt and cook covered for 5 minutes. 5) Sprinkle garam masala powder on top. Garnish with coriander leaves. 6) Serve hot with rice or chapati.